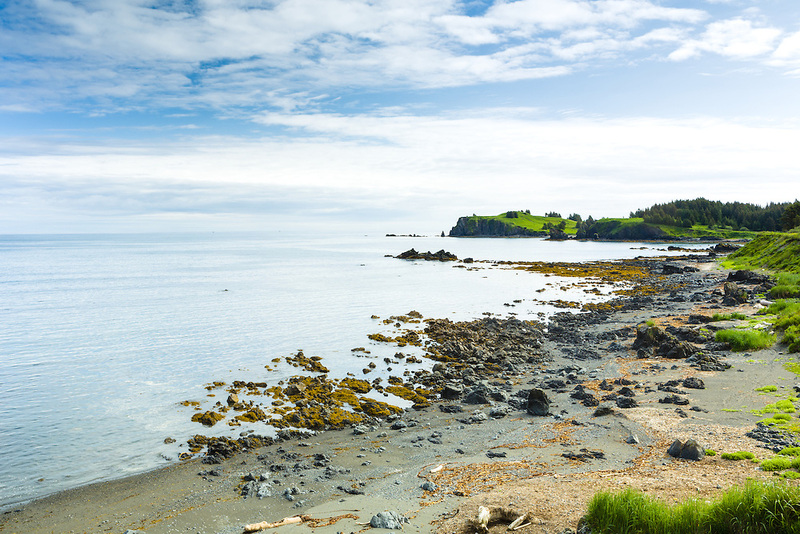 Low tide reveals a rocky stretch of beach in a small cove within Chiniak Bay on Kodiak Island in Southwestern Alaska. Summer. Morning.